Roses are red, violets are blue, celebrate love with our romantic view! Treat your Valentine to our romantic Four-Course Tasting Menu or Signature Limited Menu! *Regular a la carte menu will not be available. 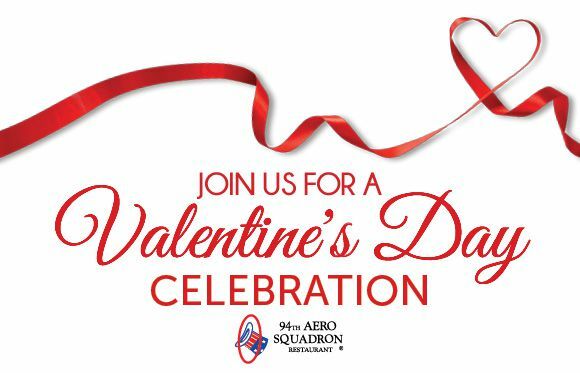 Order your 94th Aero Squadron Restaurant Gift Cards online and get it delivered right to your email inbox! You are purchasing an electronic gift card. You will NOT receive a physical gift card. An electronic gift card will be emailed to the recipient's email address provided on the order. Join our Loyalty Club for even more ways to enjoy 94th Aero Squadron.